President Muhammadu Buhari on Friday said the speechwriter responsible for plagiarizing the United States President Barack Obama’s 2008 victory speech will face disciplinary action. The Senior Special Assistant to the President on Media and Publicity, Mallam Garba Shehu, in a statement said that the similarities between certain paragraphs in Buhari and Obama’s speeches were too similar to be coincidental. The statement read in part, “President Muhammadu Buhari has ordered that prompt and appropriate disciplinary action be taken against those responsible for a wrongful insertion in his speech delivered on September 8, 2016 at the launch of the ‘Change Begins with Me’ campaign. Shehu blamed the action on some overzealous workers and apologised on their behalf. He also said that a deputy director in the presidency had accepted responsibility for the action but added that the oversight would be investigated and the appropriate punishment would be meted out to the official. Shehu urged Nigerians to look beyond the error and not allow the gaffe to distract them from the core message of change. He added, “There was a mistake by an overzealous worker and we regret that this has happened. Already, a Deputy Director in the Presidency has accepted responsibility for the insertion of the contentious paragraph. 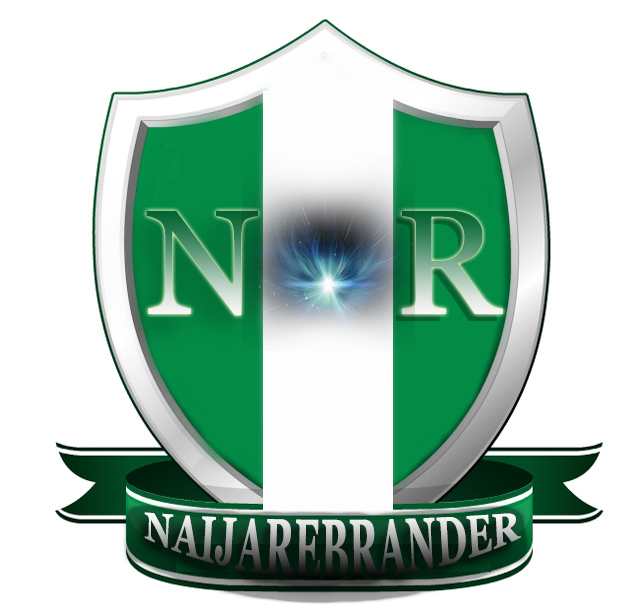 “This serious oversight will be investigated thoroughly and appropriate sanction meted. The Presidency wishes to state in the clearest possible terms that it regrets this unfortunate incident and will ensure that this does not happen again. This development arose when President Buhari’s “Change Begins With Me” campaign was severely criticised following a discovery that some of the quotes used in his message matched those used by the United States President Barack Obama in his 2008 election victory speech. This action came a week after the associates of a Lagos-based media consultant, Akin Fadeyi, the creator of “Not In My Country,” accused the Buhari administration of stealing his concept to launch the “Change Begins with Me” campaign. The associates said Fadeyi, a creative artist and former head of communications at Airtel Nigeria, met with the Minister of Information and Culture, Lai Mohammed, in December 2015 to intimate him of “Not In My Country,” an episodic narrative that deploys humour to underscore societal ills and appeal to Nigerians to shun sharp practices. They said Mohammed declined interest in the concept, only to turn it around to adapt it for the “Change Begins with Me” campaign. But Mohammed denied the allegations, saying he started the “Change Begins With Me” before he was appointed minister. Buhari had on September 8, 2016 said at the launch of the campaign that before Nigerians could see the changes he promised before the 2015 election, they must first change their attitude by shunning corruption and other social vices. He had also said that change was not about economic or social progress, but about the citizens’ personal behaviour. “Our citizens must realise that the change they want to see begins with them, and that personal and social reforms are not a theoretic exercise. If you have not seen the change in you, you cannot see it in others or even the larger society,” he had said. He also said, “We must resist the temptation to fall back on the same partisanship, pettiness and immaturity that have poisoned our country for so long. “Let us summon a new spirit of responsibility, spirit of service, of patriotism and sacrifice. Let us all resolve to pitch in and work hard and look after, not only ourselves, but one another. However, some lines in Buhari’s message were found to be similar to those said by Obama on November 4, 2008 at a rally in Grant Park, Chicago, Illinois, after winning the race for the White House. He had said, “Let’s resist the temptation to fall back on the same partisanship and pettiness and immaturity that has poisoned our politics for so long. 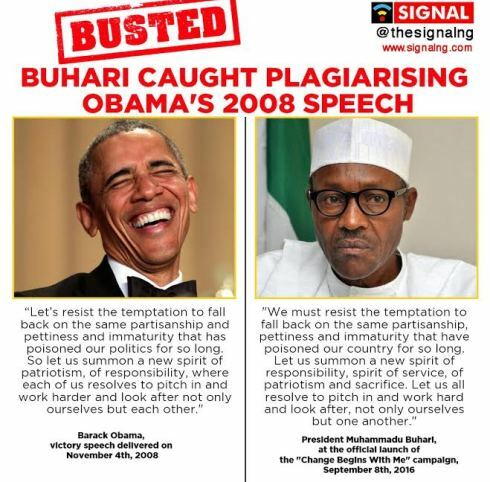 Describing President Buhari’s act as plagiarism and a “terrible mistake,” a writer and columnist with ThisDay, Adeola Akinremi, said the last thing the President could do on a day he launched the “Change begins with me” campaign was to deceive Nigerians with words that were not his own. He said, “So you didn’t notice that our president lifted from Obama’s 2008 victory speech and passed it off as if the words were his own?